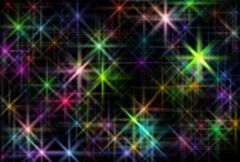 Generates a field of sparkling Glint effects with varying colors. Adjust the Frequency, Density, and Size parameters for different types of sparkling patterns. Color Variation: Default: 1, Range: 0 or greater, Shared .